Invest Southwest, in partnership with the Arizona Commerce Authority, today announced the final list of companies scheduled to present at the 2018 Venture Madness Conference. Formatting for the annual conference has changed for this year resulting in a new, one-day format of a live pitch competition from companies representing four categories: Saas Launch, SaaS Scale, Hardware Tech and Deep Tech. One winner from each category will receive a $10,000 cash prize for their business and a chance to take home an additional $10,000 grand prize. The one day conference will include keynotes from Rei Carvalho, Founder and CEO of Emailage, Jerry Coleman, Co-Founder and Co-CEO of OfferPad and Todd Davis, former CEO of LifeLock. The conference will kick off with a networking reception on Monday, Jan. 29, 2018, with the pitch competition taking place on Tuesday, Jan. 30, 2018 at Galvanize Phoenix. Finalists in will pitch live in concurrent competitions with a winner selected in each category. The winners will then go on to present a second time with an overall Venture Madness Champion crowned at the close of the conference. Categories and criteria for this year’s competition can be found here. To register or learn more about the event please visit the Venture Madness website. Event sponsorships are still available, please contact contactus(at)investsouthwest(dot)org for details. Invest Southwest is the premier organization for connecting investors with the best and brightest ventures in the region. In addition to providing valuable information on topics important to the investment community, Invest Southwest offers year-round opportunities for investors to connect with emerging growth companies. 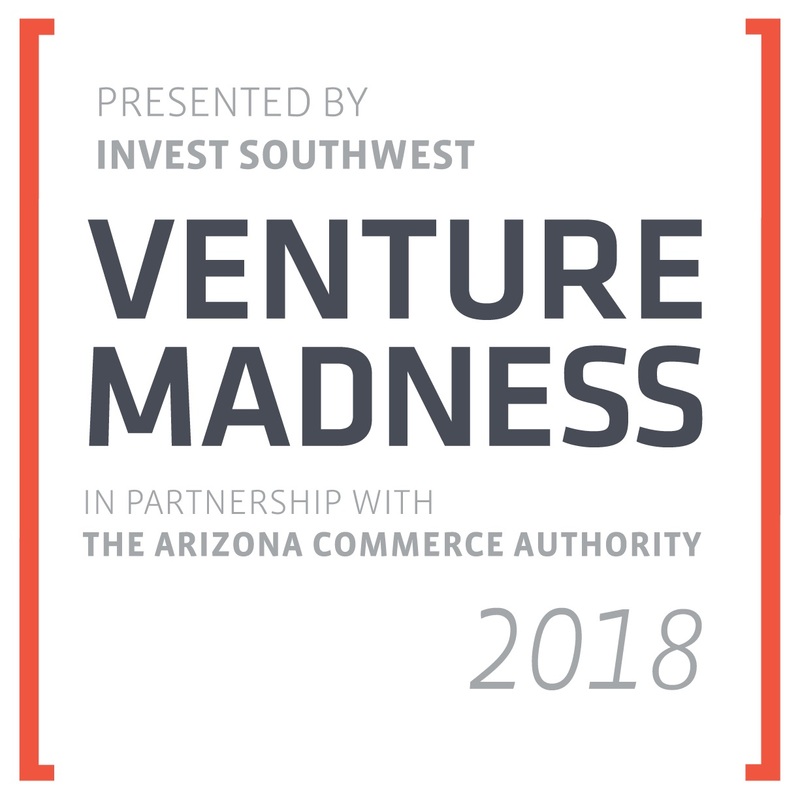 Its signature event, Venture Madness, is a unique competition presented in partnership with the Arizona Commerce Authority. Venture Madness pits thoroughly vetted, emerging startups against each other in a competition to crown the champion of champions. Visit InvestSouthwest.org for more information.